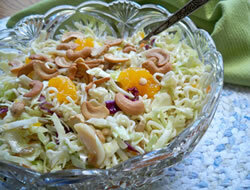 A favorite coleslaw with just the right amount of seasoning! 1. Mix mayonnaise, sugar, vinegar, celery seed, ground mustard and seasoned salt in large bowl. 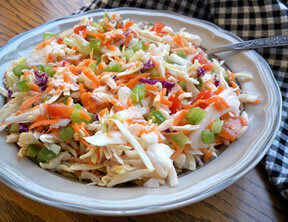 Add coleslaw mix; toss to coat well. Cover. 2. Refrigerate 2 hours or until ready to serve. 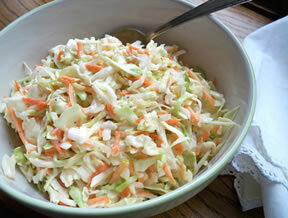 Stir before serving.Vanilla Slaw: Prepare as directed. Omit celery seed and ground mustard. Stir 1/2 teaspoon McCormick® Pure Vanilla Extract into mayonnaise mixture.